Oh bother! 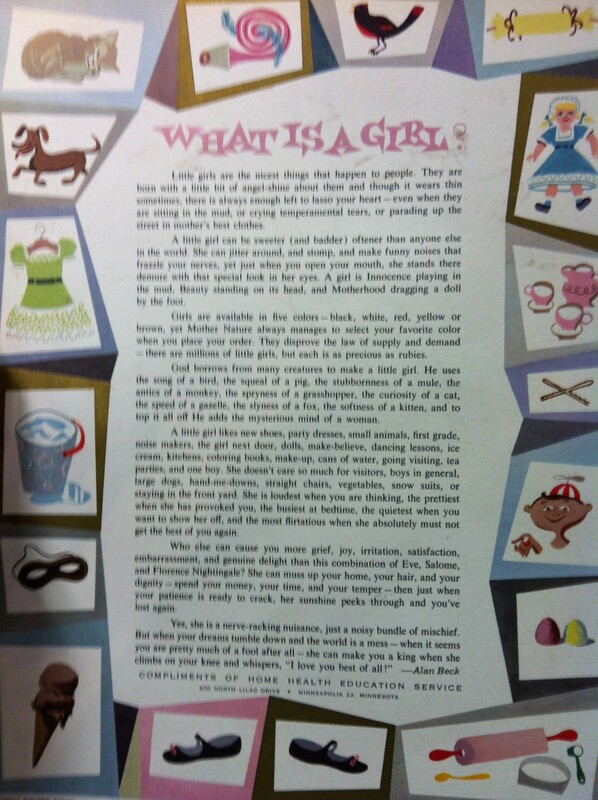 What is a girl? Check out this sign that STA pointed out at an antique store in Duluth today. Girls are available in five colors–black, white, red, yellow or brown, yet Mother Nature always manages to select your favorite color when you place your order. They disprove the law of supply and demand–there are millions of little girls, but each is as precious as rubies. Posted on October 20, 2011 October 20, 2011 Author SaraCategories Oh Bother! Previous Previous post: Troublemaking with social media?